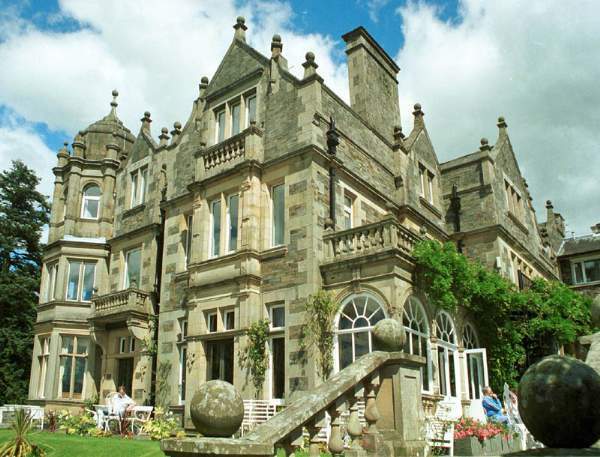 The Langdale Chase Hotel, two miles south east of Ambleside, is a large Elizabethan gabled house built as a private house in 1891 to a design by J.L. Ball, J.T. Lee and Pattinson of Manchester. There are carvings and artifacts in the building which date from as far back as 1664. 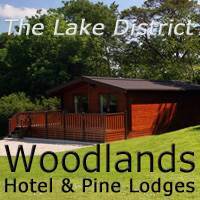 There is a large frontage to Lake Windermere, and the house has its own boathouse and landing stage. Originally the Langdale Chase, it was built for Mrs Edna Howarth, whose husband was a businessman from Manchester. The house was built of Brathay blue stone, taking 5 years to complete. Mrs Howarth lived in the house from 1894 to 1914, with a staff of 16, eight servants, and eight caring for the gardens, carriages and boats. When she died, the house was bought by Mr & Mrs Willows from Scarborough, who brought with them many treasures, including the fine oak, painting and china displayed in the Hall. 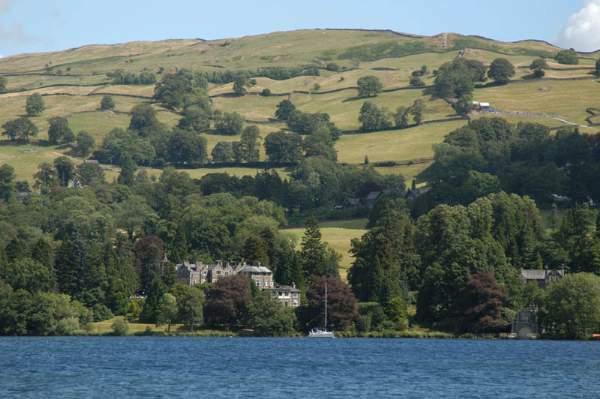 After both had died, the property was auctioned and was bought by Miss Dorothy Dalzell, her mother and aunt, who decided to run the Langdale Chase as a hotel, with the character of a country house. It opened as a hotel in 1930. The oak fireplace in the Hall (below) was brought to the house by Mr Willows, and is dated 1664, and has the inscription ‘Nicholas Tufton, Earl of Thanet and Elizabeth, Countess of Thanet’. Elizabeth was the daughter of Lady Anne Clifford, owner of several castles in Westmorland. The fireplace was carved during this period, and could have come from any of these properties. Several other rooms have fine carvings, including the overmantel in the lounge, carved by the Grasmere Hermit, bearing the date 1892 and the crest of the Howarth family. 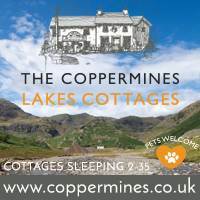 The Hermit lived on the island in the middle of Grasmere and did his carving in nearby Easedale. The private sitting room has a magnificently carved Gothic fireplace from Beverly Minster, depicting the return of the Prodigal Son. Thomas Mawson the internationally famous landscape architect designed the four and a half acres of gardens here, as well as the gardens at nearby Holehird and Brockhole. The stone balustrading which encircles the upper terraces is particularly attractive. All the trees and shrubs were planted by Mrs Howarth’s three gardeners from Thomas Mawson, though many have subsequently been replaced. The gardens have colour throughout the year, with many varieties of azaleas, hydrangeas and rhododendrons. There is an example here of the Japanese Umbrella Pine, Sciadopitys verticillata. In 1930 there were many squirrels in the garden, many so tame they came to the windows to be fed. The Red Squirrel has been adopted as an emblem for the Hotel. 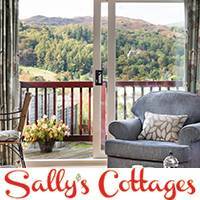 The boat house is still considered to be one of the finest on the shores of Windermere. Mrs Howarth commissioned a 50 foot teak coal-fired launch, ‘The Lily’, later renamed ‘Branksome’, and now in the Windermere Steamboat Museum. In 1974, Miss Dalzell sold the hotel, and it is now owned by Rudolf and Barbara Schaefer, who carry on in the traditions of previous owners. 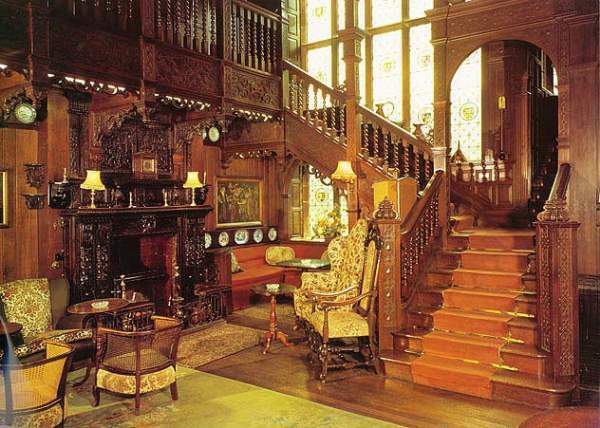 The house’s outstanding interior and location made it a natural choice for the classic English country house in Alfred Hitchcock’s production of ‘The Paradine Case’, starring Gregory Peck, and more recently in the BBC’s portrayal of the life of Donald Campbell. Lunches, afternoon tea and dinner are available to non-residents. The hotel is licensed for civil weddings. Between Brockhole and Ambleside on the A591.